Chembio Diagnostics said today it has won a $550,000 grant from the Paul G. Allen Family Foundation to immediately start development of point-of-care (POC) diagnostic tests for the Zika virus and related febrile illnesses. Chembio plans to use its Dual Path Platform (DPP®) technology to develop a standalone POC assay to detect Zika virus, as well as a multiplex POC assay to simultaneously detect Zika, dengue, and chikungunya viruses. Zika can only be detected now through laboratory diagnostic tests. In addition, Chembio said it will add Zika to its POC DPP® Fever Panel now under development, through a separate grant from the Paul G. Allen Ebola Program whose value was not disclosed. The company is also collaborating with the Paul G. Allen Ebola Program to develop a DPP® Fever Panel Assay capable of simultaneously detecting malaria, dengue, chikungunya, Ebola, Lassa, and Marburg—all from a single drop of fingertip blood. That collaboration, Chemibio said, is one reason why it received the grant; other reasons include the characteristics of its DPP technology and its rapid development of POC tests for Ebola and other febrile illnesses. “Our success developing the DPP® Ebola and DPP® Malaria-Ebola Assays in 2015, which are currently deployed in West Africa, provides confidence that we can achieve similar success responding to the global need for rapid POC tests to detect Zika virus,” Chembio CEO John Sperzel said in a statement. Chembio said it is in talks with undisclosed health and government organizations to secure additional funding toward accelerated product development, as well as clinical trial and regulatory approval for the company’s Zika products. The grant was one of two announced today by Allen and his investment firm Vulcan Inc. toward fighting the Zika virus. 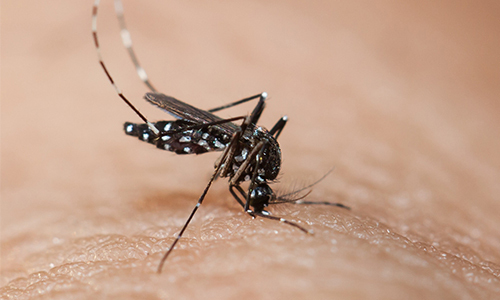 The other is a $1.5 million grant to the American Red Cross intended to support the global Red Cross network’s integrated vector-control activities in Zika-affected areas.